From the time I created my first mobile, I was in love with the medium. Not until much later in life did I even discover that mobiles are a form of sculpture. 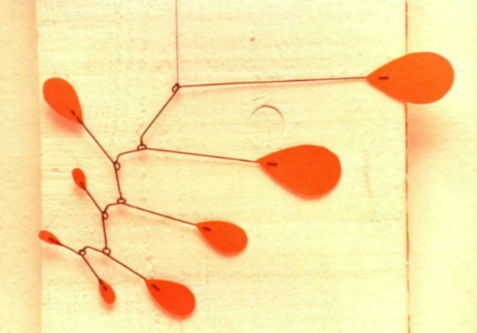 Research and study led me to Alexander Calder... the father of "mobile" art. I found that I had spent a good portion of my life reinventing what he had already done. He showed the world how to fill time and space with motion... to create sculpture that is ever changing. "To most people who look at a mobile, it's no more than a series of flat objects that move.